At a certain point in her life, Laurie Martin needed to find her way out of a downward spiral that had affected her self-worth and her physical and spiritual health. 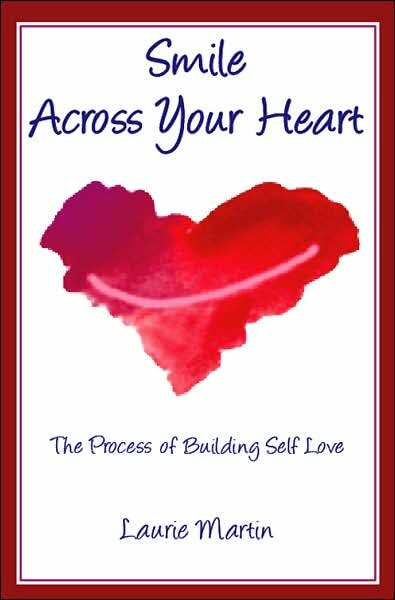 What Martin discovered in the process of transforming her own life she has been able to refine and share, both in workshops and in her new book “Smile Across Your Heart: The Process of Building Self Love.” The book enables the active, responsive reader to participate in his or her own rebalancing of attitudes and behaviors. Martin, who moved to Naples to be near family at the end of 2004, has offered a book in a crowded segment of the marketplace. The broad concepts offered here are not too different from what can be found elsewhere. What makes Martin’s treatment stand out has to do with the design of the book and the voice that reaches the reader. Each chapter has several subsections, allowing resting places for contemplation or for performing the suggested activities. Design is also reflected in the shape of each chapter and the contribution of graphic design techniques to hi-light exercises. Martin offers suggestions for journal-keeping, for visualizing successful outcomes, and for expressing gratitude and request experiences. She also provides strategies for personal problem-solving. The design of the book, and of the program that it represents, does involve repetition: advice and exercises and issues overlap somewhat as the reader moves from chapter to chapter. But that repetition is part of the design, reinforcing key concepts and thereby enhancing the possibilities of changes in outlook and behavior. The book has a pulse. There is a rhythm to the construction of insights and activities and a compelling rhythm as well to the coach’s voice. One can’t help but want to follow her lead. It is that engaging, friendly, and supportive voice that makes the book an effective stand-in for personal coaching sessions. Without getting sugary or euphorically enthusiastic, Laurie Martin insists that we are all part of a perfect design, that we have what takes to thrive in all aspects of our lives, and that with guidance and committed effort we can release our thwarted energies and take responsibility for our life’s journey. Martin advocates a healthy self love. Though most readers will understand that this kind of self love is not to be confused with excessive pride or conceit, I do wish Martin had given attention to the distinction. A year ago, she hired an editor to help her refine the manuscript. When she was ready, Martin prepared the usual proposals and circulated them to many publishers. The second nibble quickly led to a book contract, though the publisher insisted that another hundred pages be cut, in order to streamline and focus the presentation of the book’s message. Martin signed the contract last fall and the book came out last month from Yes International Publishers.. A second book and a video lie in the future. book signing at the Naples Borders on Saturday September 15 from 2-4pm. Meanwhile, you can find out more about Laurie Martin and her book at smileacrossyourheart.com. Few teams have had the love of their local fans and of the American public to the degree achieved by the Brooklyn Dodgers, whose mix of failure, success, and colorful characters made them synonymous with baseball for several decades. Some say they were the first “America’s Team.” For many, the Dodgers were family, and this loving tribute to the team and to Barney Stein’s memorializing photographs has the flavor of a family album. 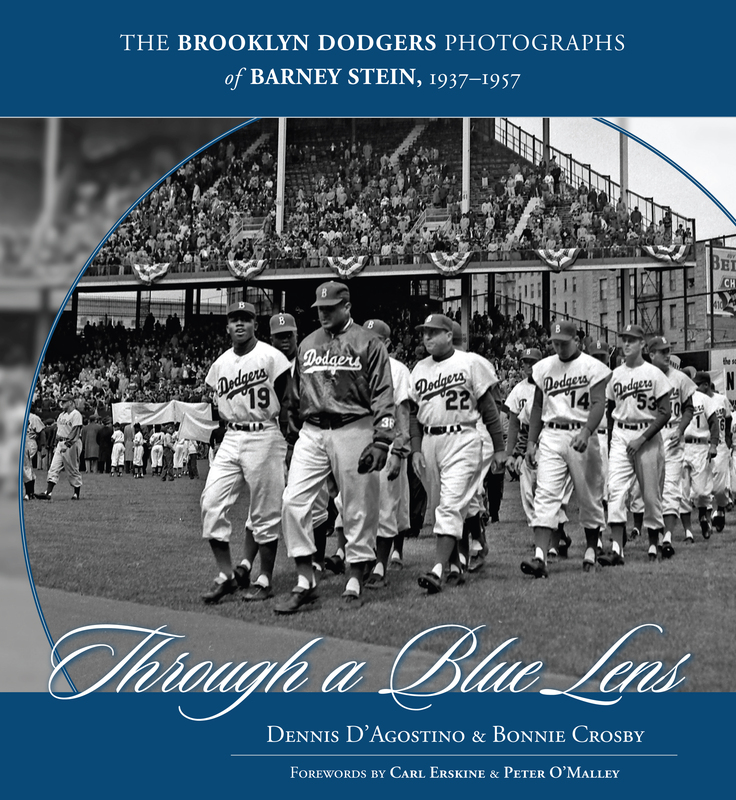 “Through a Blue Lens,” by Dennis D’Agostino and Neapolitan Bonnie Crosby, does justice to a brilliant photographer and a tantalizing sports epoch. The nearly 200 photographs are a selection of those taken by Stein from 1937-1957, the twenty-one years that he served as the official Dodgers photographer. For Stein, this was his afternoon job, following hours he would put in as a news photographer for the New York Post. Many of the photos in this collection had not been seen in fifty years; others, including those of the final Dodgers game at Ebbets Field, had never before been published. Crosby, who discovered the treasure trove of her father’s seemingly lost photographs several years ago, spent two years cataloging them and digitizing them. She was tracked down by sports historian D’Agostino, who some twenty years before the collaboration had found a beat-up paperback called “The Rhubarb Patch” that included yellowing pages of Barney Stein’s photographs. His initial search to find Barney’s daughter did not pan out, but when she created a website to document her father’s work, D’Agostino was able to get in touch with her and propose the project of bringing Stein’s Dodger photographs to a new audience. When Crosby found out that D’Agostino was originally from Brooklyn, the deal was sealed. The “family album” flavor of the book is enhanced by the reminiscences of several Dodger greats. These include Duke Snider, Don Newcombe, Carl Erskine, Ralph Branca, Clem Labine, and Johnny Podres. There are also comments by (and photos of) the master announcer Vin Scully, Mrs. Gil Hodges, and Dodgers’ executive Buzzie Bavasi. Because she was prescient enough to interview her father shortly before his death in 1993, Bonnie Crosby also brings us her father’s own words. The selection includes not only memorable action photos of games and great locker room moments, but also spring training (at Vero Beach), social events, groupings of players’ wives and executives, photos of the players at home, and many celebrity shots. Danny Kaye, Milton Berle, General Douglas MacArthur, Nat King Cole, President Dwight Eisenhower, Red Skelton, and Marilyn Monroe are among those found in or around Ebbets Field and caught in Barney Stein’s viewfinder. There is a special chapter on the legendary Jackie Robinson, another on the championship season of 1955, and finally one on the demolition of Ebbets Field that marked the end of Brooklyn Dodger history. 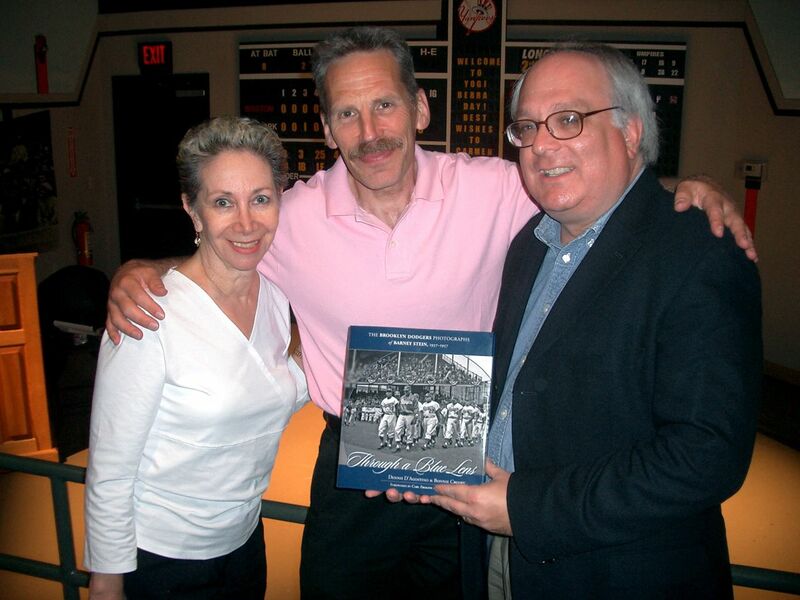 Included the book is Stein’s most famous photo, one of the most famous in sports history. It won the first prize in the New York Press Photographers’ Sports Class and the prestigious Izzy Kaplan Memorial Trophy. This is, of course, the shot of Dodgers’ pitcher Ralph Branca, sobbing on the clubhouse steps of the Polo Grounds in 1951. Branca had served up the immortal three-run game-winning homer to New York Giants’ outfielder Bobby Thomson in the ninth inning of the third and final game of the National League playoffs. For this reader, whose only visit to Ebbets Field occurred around 1950 for a game in which the great Stan Musial was swinging his bat for the visiting St. Louis Cardinals, the collection not only captures the mystique of the Dodgers before their flight to Los Angeles, but it also opens a black and white window on urban America during this era. Here in abundance is the look of the times – the clothing styles, the haircuts, the billboards and advertising styles, and the broadcast booths. The collection provides a poignant review of a key component of American popular culture during a period that seems, from today’s perspective, refreshingly innocent. And, by the way, these are simply great photos. Bonnie Crosby and her husband, Steve, have made Naples their home since 2004. Naples met two important criteria for the couple: it had the climate characteristics that Bonnie Crosby needed for her health, and it had the calendar of artistic and cultural events that they craved. “Through a Blue Lens,” published by sports specialist publisher Triumph Books, is widely available. A somewhat different representation of Barney Stein’s work, prepared by Crosby, is available on the website barneystein-photography.com. 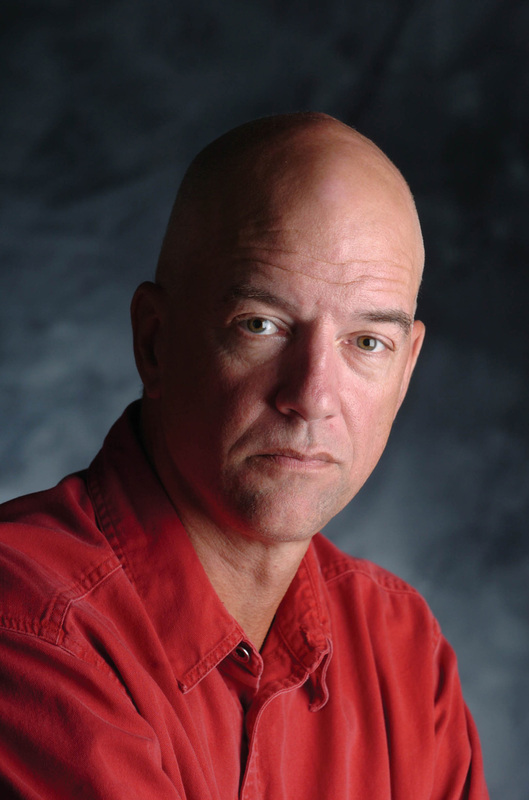 Jonathon King has become, in a very short time, one of the premier crime novelists among the exceptionally talented group writing in and about Florida. His terrain includes the densely populated counties of South Florida and the sparsely populated, mysterious Everglades. 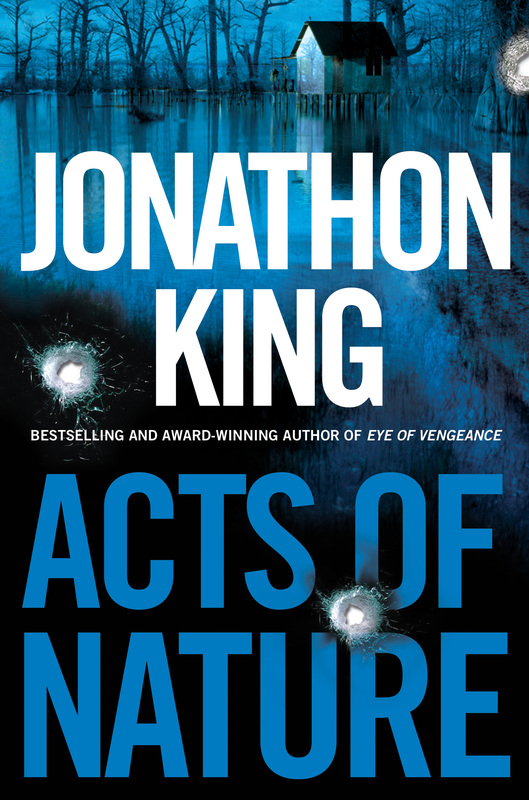 King has just brought out his fifth “Max Freeman” novel, after a brief escape from Max with the recent and masterful “Eye of Vengeance.” Max’s return in “Acts of Nature” brings the protagonist fully into the ferocity of Florida’s most powerful natural menace – the hurricane. Or is that menace human nature? The title lets us take our pick. Unlike most crime fiction, “Acts of Nature” does not attach the hero to a particular investigation. But as in some of the best of the genre, trouble finds him anyway. The plot involves a triangulation of destinies, and the narrative technique finds King alternating three story lines until they inevitably intersect and explode. The first story line involves a shared vacation between private investigator Max Freeman and his girlfriend, Sherry Richards, who is a detective with the Broward County Sheriff’s Office. Desiring an uninterrupted escape, Sherry leaves no contact information as the two decide to nurture a relationship that has engaged King’s readers through several books. After some time at Max’s Everglades cabin, the two seek out a remote fishing camp to continue their cautious embrace of the area’s allure. They lose contact with the fact that a tropical storm has turned into a serious hurricane speedily bearing down on the Glades. The second story has to do with a pair of security operatives for an oil company. These men, Harmon and Shields, are hired guns performing the kind of deniable dirty tricks that corporate success requires in the unstable world of international politics. When we first meet them, they are liberating a computerized analysis device from a pump room in Venezuela. Harmon is an especially credible and memorable character, whose skills, background, personal traits, and home life King sketches with vividness and efficiency. The third track concerns three low-lifes from the Ten Thousand Islands area. The leader is an ex-con, Buck, who runs salvage operations (burglaries) as mentor to two teenagers who do the heavy lifting. It’s a pretty slick operation, looting empty homes in gated communities across South Florida and fencing the goods. When the hurricane strikes, Buck is convinced that there will be easy pickings at the damaged fishing retreats in the Everglades. He assumes that the owners will first attend to their primary homes before checking on the condition of these remote properties. King nails the lingo of the teenagers and builds a compelling portrait of their milieu, their relationship to one another, and their interaction with the thirtyish Buck. Theirs is a sad story, but it is related with zest and with the kind of telling details that pull the reader in. Through short, fast-paced chapters, King draws in the net that holds his three stories until they become one. The complications include a serious injury to Sherry Richards, an injury that becomes life-threatening due to the pair’s isolation and the wreckage created by the hurricane. As King fashions their responses to this predicament, he artfully deepens the characterizations of both Sherry and Max while ratcheting up the suspense. “Acts of Nature,” published by Dutton, is a not only a sharp-edged thriller, but an album of American types and of America’s moral malaise. King’s new readers will want to go back to the beginning of the Max Freeman series – the award-winning “The Blue Edge of Midnight” – and follow the ongoing Freeman saga. King’s committed followers will enjoy this new Freeman adventure, but are likely to hope that the walk-on part assigned to Palm Beach lawyer Billy Manchester, Max’s main source of employment and frequent benefactor, is enlarged in the next outing. And all followers of Florida crime fiction will chuckle at the affectionate passing reference to Jim Born, who really is a special agent for the Florida Department of Law Enforcement as well as a stalwart member of the Florida crime fiction tribe.